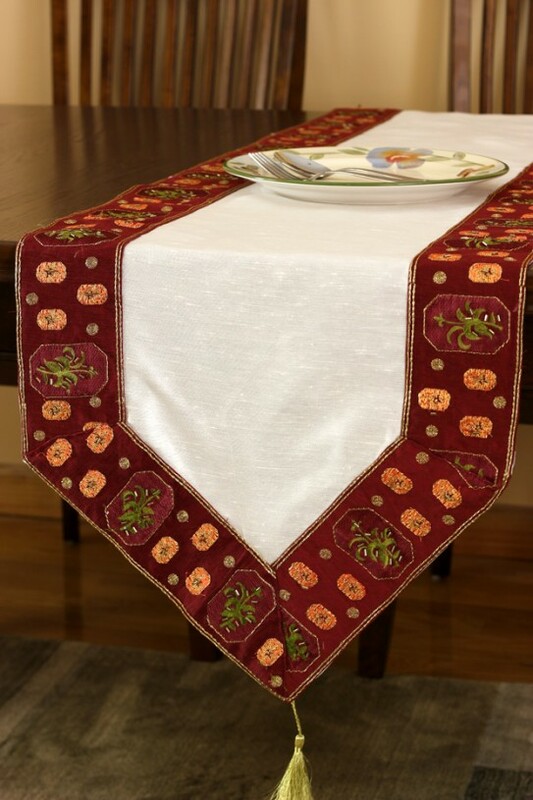 A gorgeous, breathtaking border is the focal point of this hand embroidered table runner, giving it an elegant and luxurious appearance. 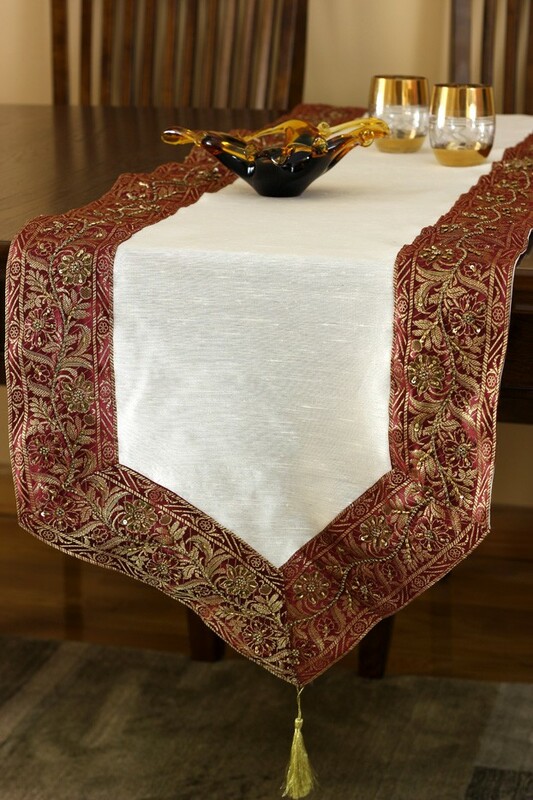 Add a touch glamour and style to your tables with this unique table runner from Banarsi Designs. 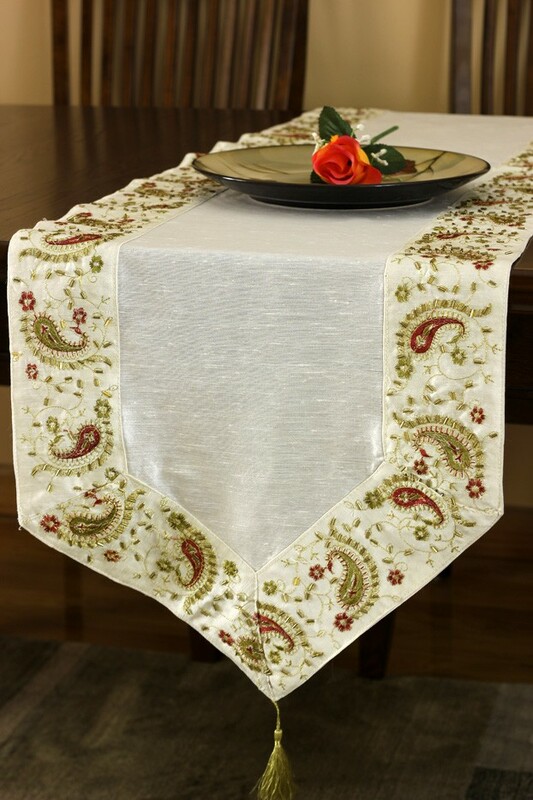 A gorgeous, breathtaking border is the focal point of this decorative table runner, giving it a classic and sophisticated look with just the right amount of luxury. No matter which color option you choose, your guests will enjoy gazing at the detailed design as you entertain. Use this marvelous piece in your living room, dining area, hallway, office, den, or anywhere you want to make the most of your home’s décor. This table runner is exceptionally versatile as well as warm and inviting, giving your home the look and feel you have always desired. Perfectly suited for any style and home décor, this elegant table runner will look magnificent no matter where you choose to place it.